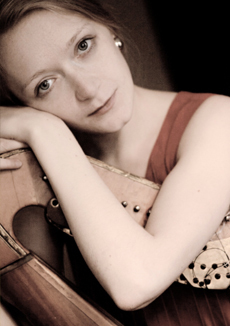 Born in Vilius, Agnė Keblyte began harp studies at age nine, continued in Geneva and Brussels, and earned her master’s degree at the Paris Conservatory. She has performed at festivals in Gödöllő (Hungary), Teignmouth (England), Belgrade, and Moscow and as soloist with the Israel Philharmonic Orchestra, Orchestra of the State Hermitage (St. Petersburg), and Lithuanian National Symphony Orchestra. She won top prizes at the 2010 International Harp Competition in Hungary and 2012 International Harp Contest in Israel. Now living in Spain, she is principal harpist of Philharmonic Orchestra of Gran Canaria.